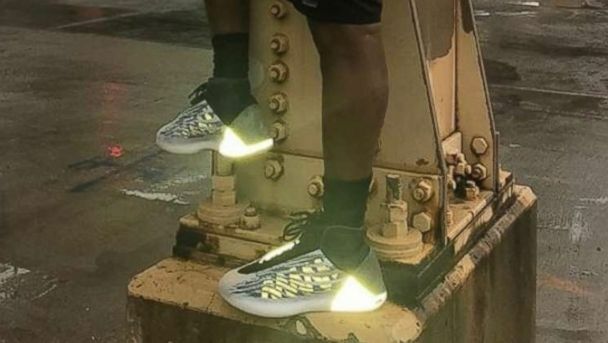 Follow the latest Kanye West news, videos, and analysis from ABC News. The rapper took to Twitter to claim he was unfairly "used" to spread messages. ABC News' Kendis Gibson reports. 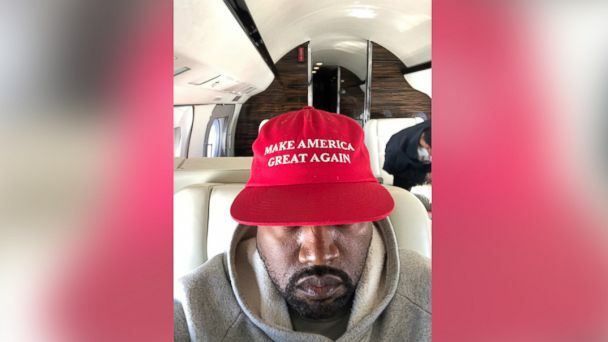 The Chicago rapper provided a rambling monologue that included commentary on social issues, hydrogen planes, mental health, endorsement deals, politics and more. 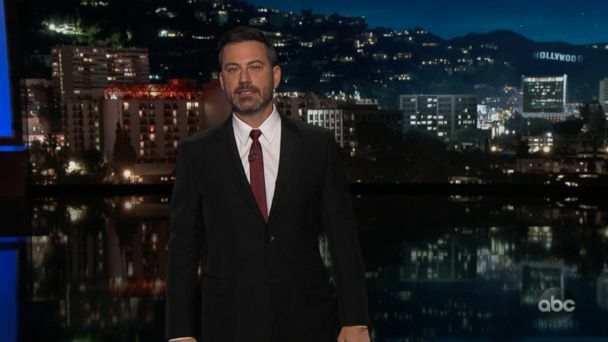 Trump's meeting with West will surely make for good TV this week, according to Jimmy Kimmel. 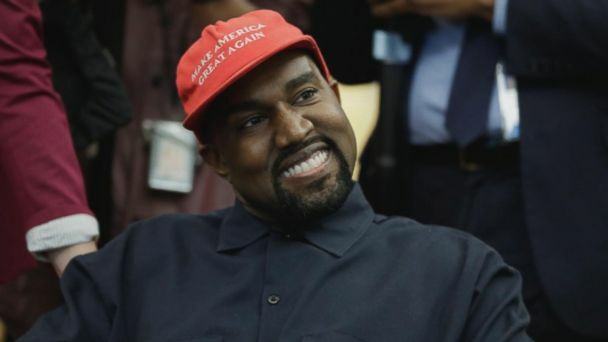 Rapper Kanye West will dine with President Trump at the White House. 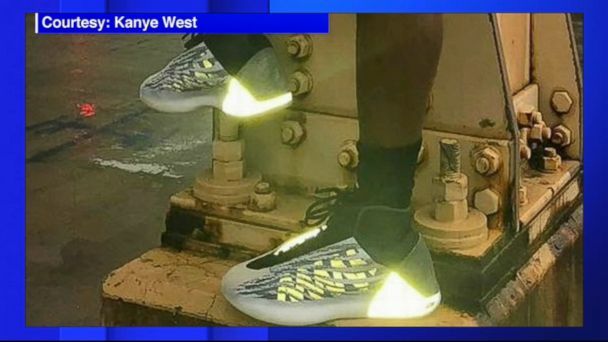 The NBA will likely ban Kanye West's highly anticipated Adidas basketball sneaker this season due to the shoe's design, ESPN reported Monday. This week has been a tough one for West and it may have just gotten worst. 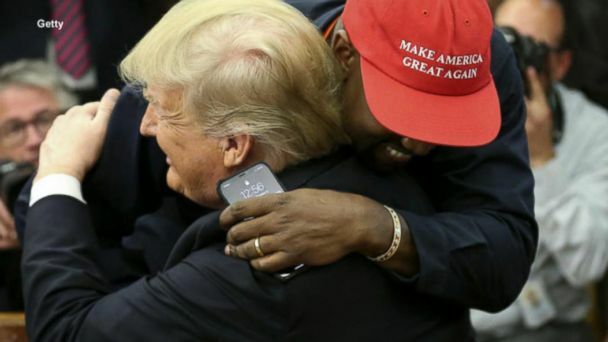 Kanye West defended wearing a "Make America Great Again" hat during his "Saturday Night Live" appearance amid backlash over his continued support for Donald Trump. Rapper says he should be allowed to turn off the number of followers, likes. Kanye West fans rejoiced when he announced plans to teach a college course. 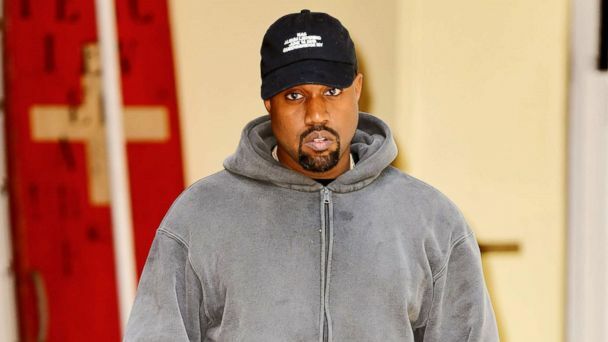 Kanye West appeared to confirm rumors about a beef with fellow rapper Drake. The rapper said he was sorry for comment during a radio interview. The rapper opens up about the backlash over his slavery comments. His eighth studio album only have seven tracks and features Nicki Minaj. Kris Jenner isn't concerned about son-in-law Kanye West's controversial comments on just about everything -- from slavery to President Donald Trump, to free thought. The rapper's comments during a TMZ interview drew immediate condemnation and some applauded a TMZ senior producer for challenging him. "My purpose wasn't to call Kanye West out. It was to call Kanye West in and see maybe if I could get through to him," Van Lathan said. Friends of the rapper have rebuked his latest comments on slavery. 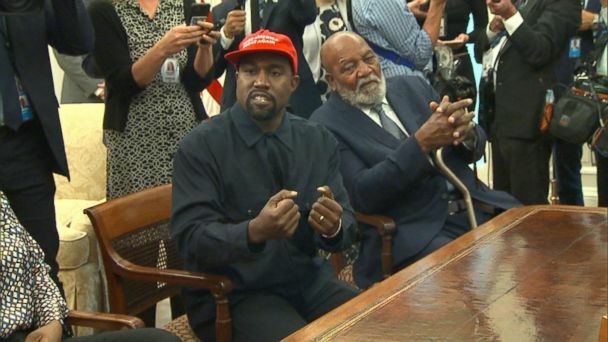 Kanye West has taken to Twitter to respond to the immediate and widespread backlash the rapper and businessman received after comments he made about slavery. The rapper also disclosed for the first time details of the struggles that led him to be hospitalized in November 2016. In a recent interview, the rapper also engaged with someone over his comments in the TMZ newsroom. 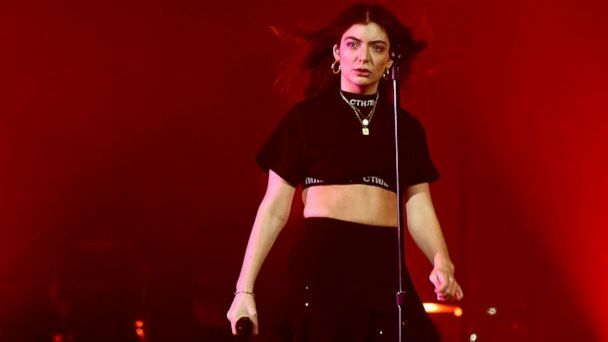 The singer sounded off on Donald Trump, Barack Obama and Kim Kardashian West. West has once again confounded fans with his tweets about Donald Trump and more. West's touring company, Very Good Touring, claims an insurance company failed to pay them nearly $10 million after the cancellation of West's Saint Pablo Tour. The singer is reportedly being held at an LA hospital after his personal doctor called 911 about West's alleged mental state. The Grammy winner cancelled his tour this week and is currently in the hospital. Authorities were called to his trainer's home for a medical emergency, just days after a bizarre concert appearance in Sacramento. Concert promoter LiveNation announced the hip-hop mogul would be canceling the remaining 21 shows left on his tour. The rapper made a number of statements in the days before canceling his tour. Live Nation released a statement today. West, 38 and Kardashian, 35, wed in May 2014.